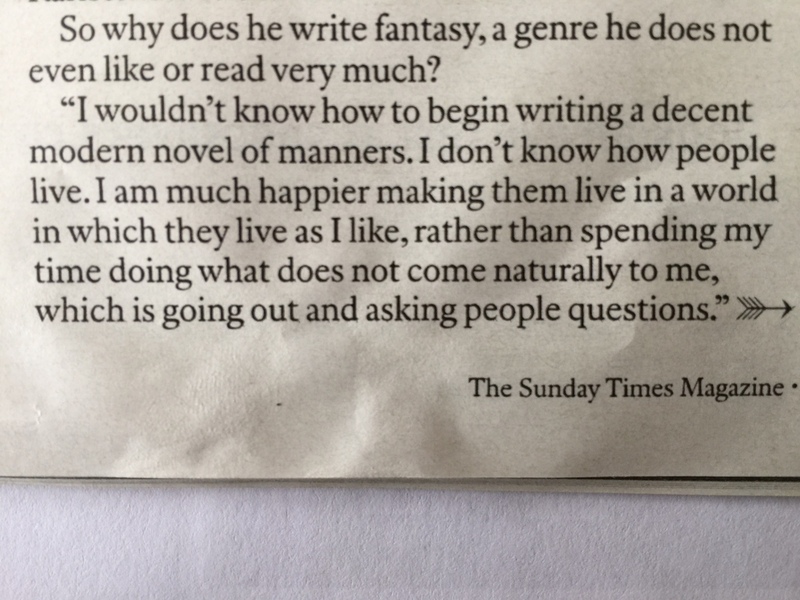 A pragmatic observation from Philip Pullman in The Sunday Times Magazine. Good advice for authors: stick to what you are comfortable with. For the full interview, refer to The Sunday Times Magazine, Sunday 15th October 2017.